Writing an effective biography for a civil engineer begins with identifying why the bio is being written and who the audience will be. The biography provides the reader with an overview of your career as a civil engineer and displays your qualifications and skills in the field. It can be used to market your skills as a civil engineer to potential employers or new clients as well as for other purposes. Once you determine the purpose and the audience you can select the content that will be included. There are some basic guidelines for writing any engineers biography regardless of the field they are in. Professional biographies should be one page or less in length. Paragraphs should also be kept relatively short to make scanning them easier. Your engineer’s biography will use a narrative style of writing and be written in the third person. Avoid using professional jargon that may only be understood by other engineers unless your targeted audience is in the same profession. Write succinctly using language that is easy to understand and proofread the bio to ensure it is free of spelling mistakes and grammatical errors. The content of your professional biography should be relevant to achieving your purpose. In order to do this you will need to establish your credentials in the field of civil engineering. The reader needs to know what qualifies you as a civil engineer, your experience in the field and what training you have received. The exact information included may vary somewhat depending on your purpose but it will be drawn from your professional work experience and the past positions you have held. It may include awards and special recognition you have received in the field as well as your membership in organizations related to the industry. Your academic background such as degrees you hold and the institution where you earned them will usually be mentioned and any special credentials and training might be discussed if related to your purpose. Not everything can be included in the biography so you must select the information that best supports achieving your objective. Include your most important information first when writing your bio. Those things that you feel contribute most to achieving your purpose should be included as early in the bio as possible. Be specific when you write the bio and use examples. Avoid using general statements and clichés. Your biography should differentiate you from others in the field so that you stand out. Don’t forget to include your contact information. If your bio generates interest in the reader make it easy for them to contact you. 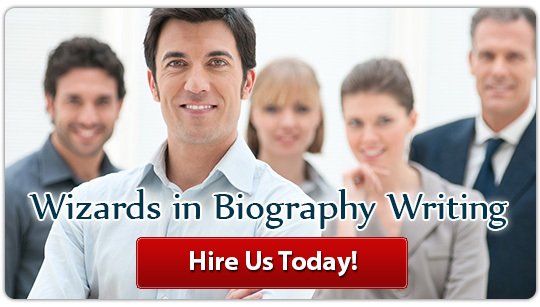 There are many ways to write your professional biography and it can be difficult to determine the best approach to use. 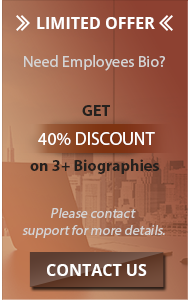 If you aren’t sure of the best way to write your bio our service can do it for you, whether you need a civil engineer biography or a realtor biography. Contact us for a custom written civil engineer biography that establishes your qualifications and creates the impression you want!